Limited number of 1 Bedroom Apartments ( 29 sqm ) have been released to the public with EXCLUSIVE INVESTOR prices. 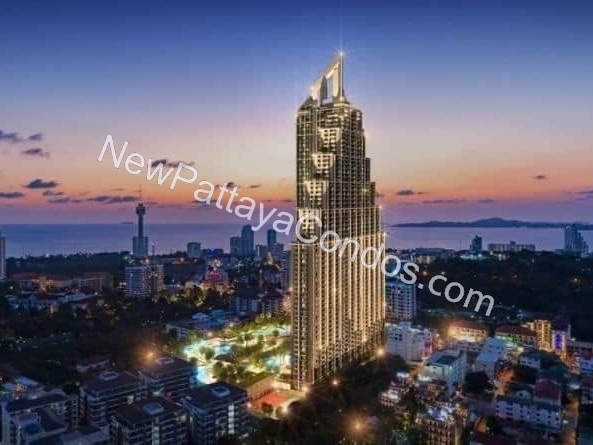 Inquire right now to get hold of one of these units up to the 17th floor overlooking the Pattaya Bay. 0% Interest Free Payment Plan INCLUDED !!! Here are the new payment terms for Grand Solaire, applicable for purchases under both foreign and Thai / company ownership. 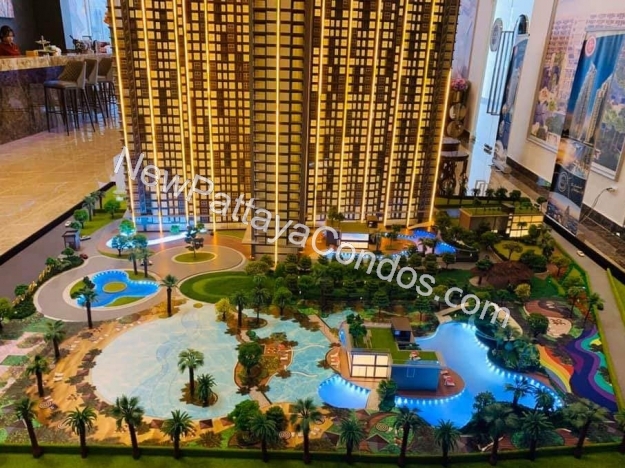 The Start price will be 125.000 baht per sqm (pre-launch on floors 5-18 of Tower A) but additional 5,000 THB per sqm discount for early bird buyers who book now! Entry levels units are 29 sqm 1 bedrooms. 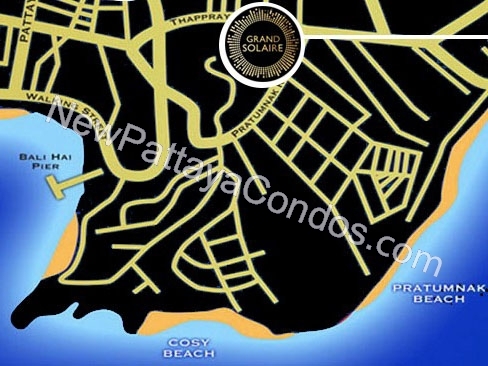 Pattaya`s brand new high rise super-project Grand Solaire brings you executive, five-star splendour at the heart of Thailand’s Eastern Seaboard. 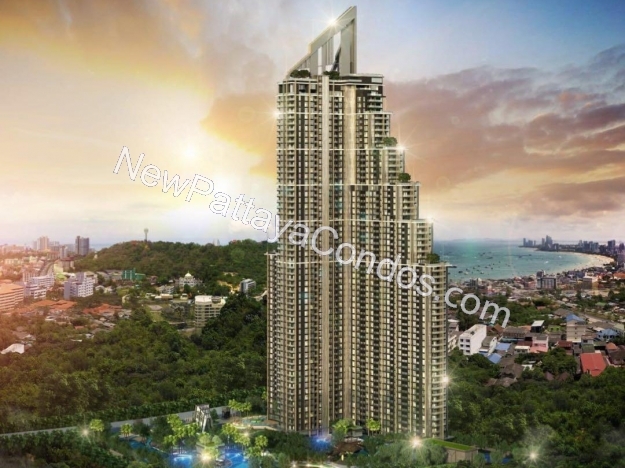 Positioned on Thappraya Road Soi 15, the development intersects Central Pattaya, Pratumnak Hill and Jomtien to give absolute convenience and easy access to all of the city’s major attractions and amenities. 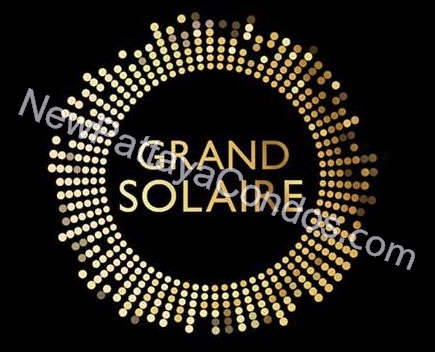 Grand Solaire features two towers of 67 and 48 storeys each, offering the highest point of elevation in Pattaya City with stunning, panoramic ocean views from the vast majority of units. All of the 3,600 luxury residences on offer feature state-of-the-art interior design elements, comprising decadent marble-styled tiling, luxurious black marble and glass kitchens and premium fixtures & fittings. Enjoy ultimate luxury in your own home with electronic sanitary systems and custom designed, space-saving and energy-conserving air conditioning. Early bird pre-launch sales started Saturday 15th December 2018! Book now to avoid disappointment! 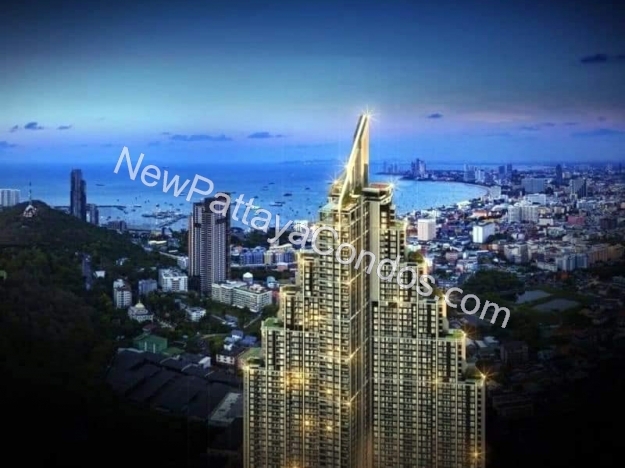 • Prime, convenient location - positioned on the corner of Thappraya Soi 15 & Thappraya Road.